Dimensions: 5.5'' Tall, Coaster 4.75'' Diam. 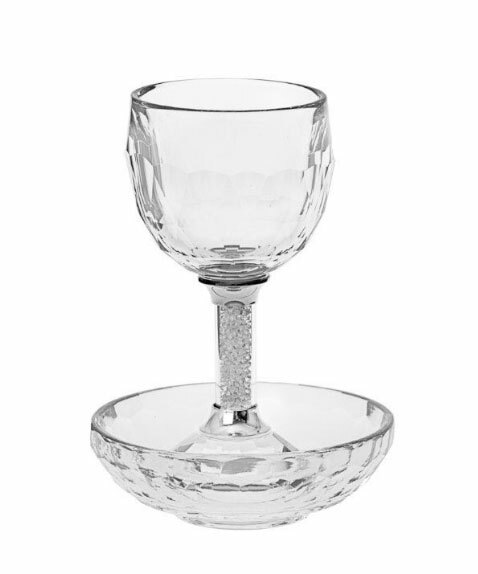 New crystal Kiddush Cup with Tray, deep bowl that holds plenty of spilled wine. The kiddush-cup is 5 3/4 inch high and the tray 4 3/4inch in diameter.